Join us in Wales for The Velothon! Ride for Nema and raise vital funds for our School Feeding Program which gives a primary student in Northern Mozambique one nutritious school meal every day. This cycling event takes place on 14th June 2015 with two distance options; 50km which is achievable for most leisure cyclists and the more challenging 120km for those prepared to put in a little training. 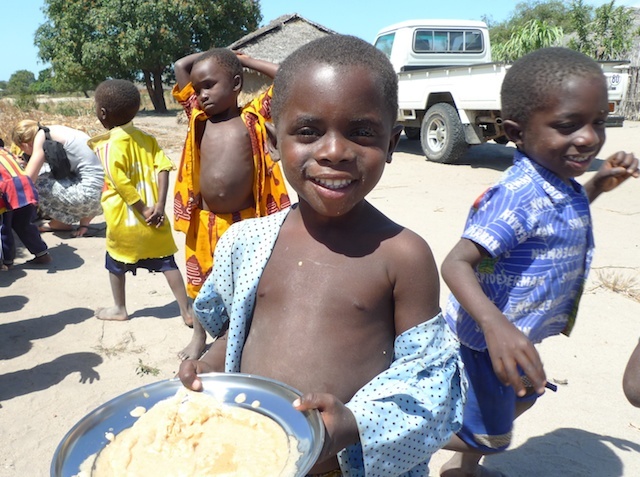 It is hard for most of us to imagine what it is like for us or our children not to eat for a day, but for a child in Mozambique, one of the poorest countries in the World, hunger and malnutrition is an everyday reality. It costs only £50 to feed one primary school student for an entire year and we guarantee that 100% of your donation goes directly to making sure our School Feeding Program is a success. The School Feeding Program has lasting impact because it is a three-fold project; it improves not only overall child nutrition, but school attendance and concentration. This ensures that children have the chance to pull themselves and their families out of harsh cycle of poverty. Help give a child the chance that he or she deserves to dream beyond the shackles of poverty.